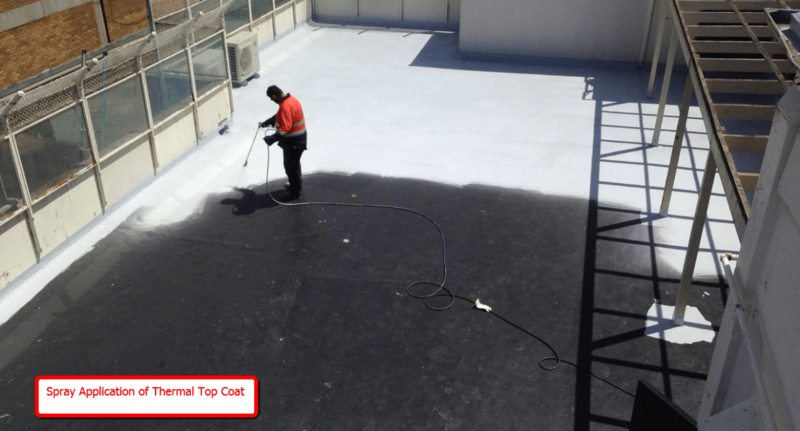 Roof coatings for flat & low-sloped roofing systems need to have specialized properties. The waterproofing product used for roofs MUST be able to withstand "ponding" or standing water. 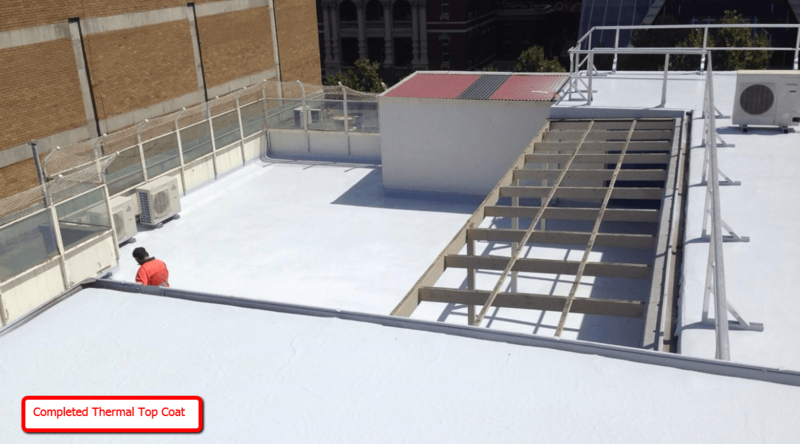 Flat roofs will have moisture sitting, or ponding, for long periods of time. 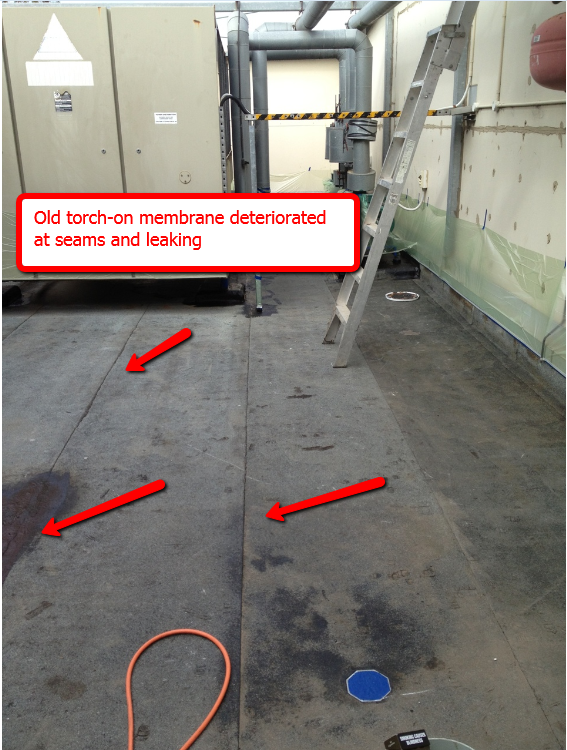 Most membranes DO NOT perform well on roofs with ponding water. Liquid Applied Membranes are engineered to protect and waterproof roofs damaged caused by ponding water. 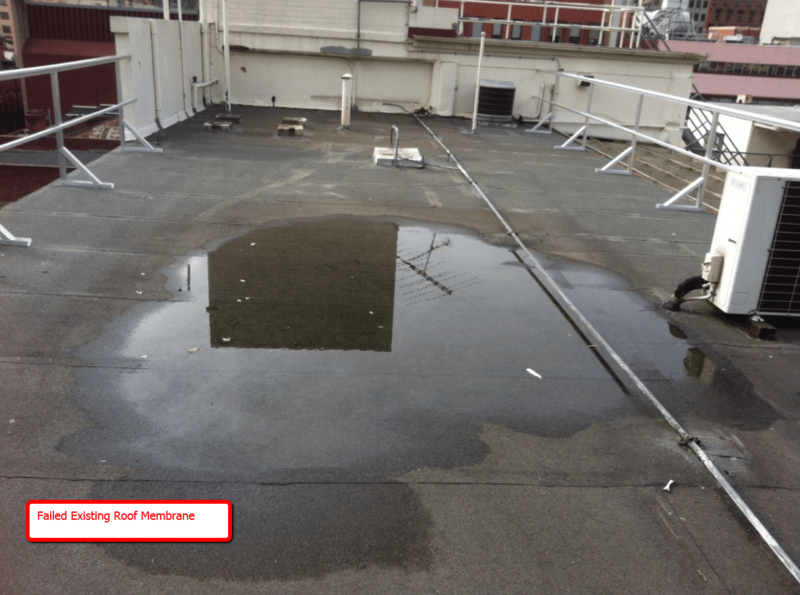 Flat concrete roof​ sections with roofs damaged caused by ponding water. 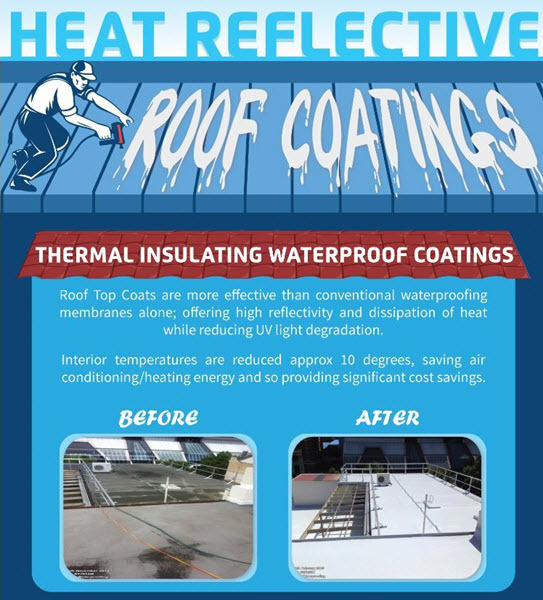 A single spray-applied coat of a ﻿﻿﻿Liquid Applied Membrane will repair & restore an entire metal roof surface. Save costs due to eliminating the expense & down time of an entire roof replacement. Metal roof requires a waterproof coating that will encapsulate rust, joins, seams & around roof penetrations & services. 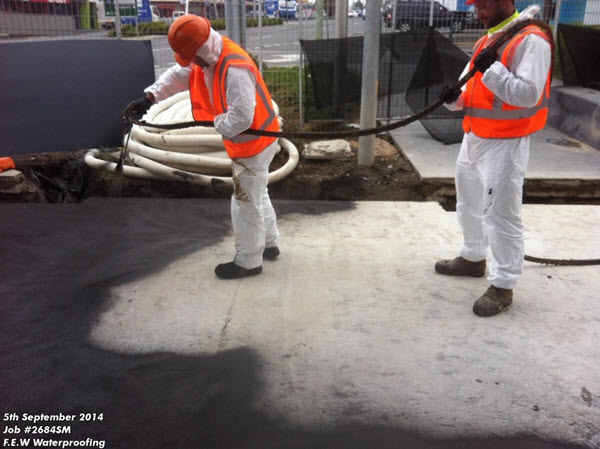 Liquid Membranes are sprayed applied to any shape or profile. ​​Climatic conditions age, dry & shrink older existing waterproofing membranes - this may cause surface cracks to form on a concrete roof. 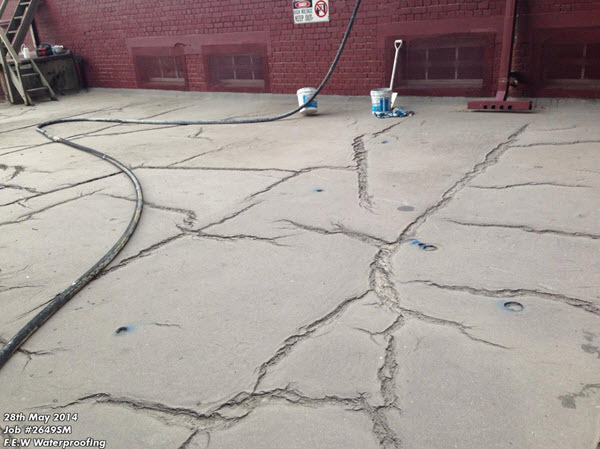 Moisture begins to seep into these cracks increasing the possibility of structural damage. 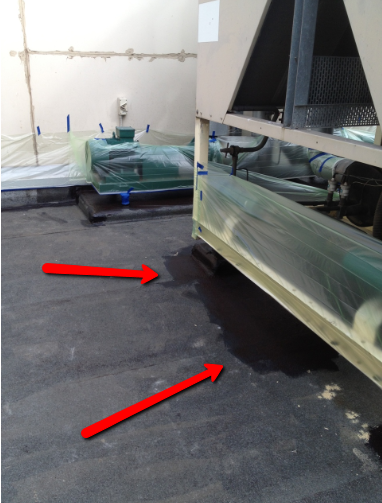 Read Here about waterproofing solutions to resolve concrete roof leaks. 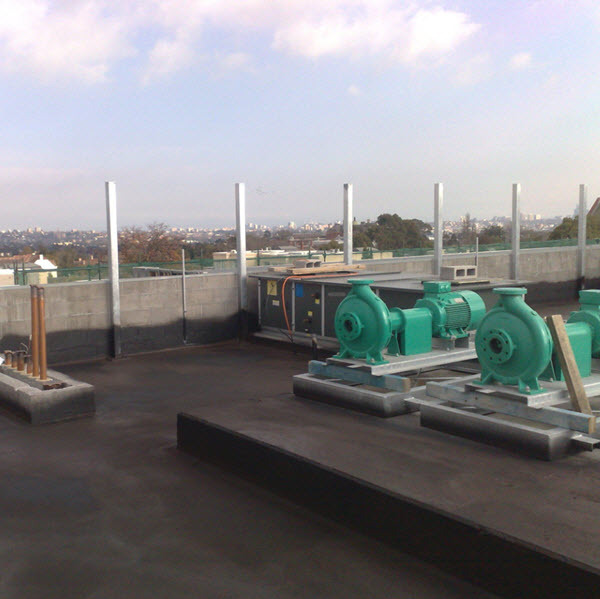 This waterproofing system for a rooftop terrace & balcony required an integrated structural waterproofing installation involving building works for timber decking.g. 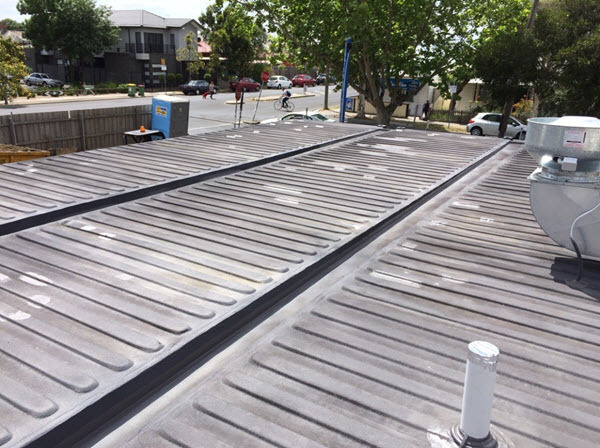 The existing roof membrane had failed miserably and a large timber deck needed to be bolted down over the top of the newly installed waterproof material. 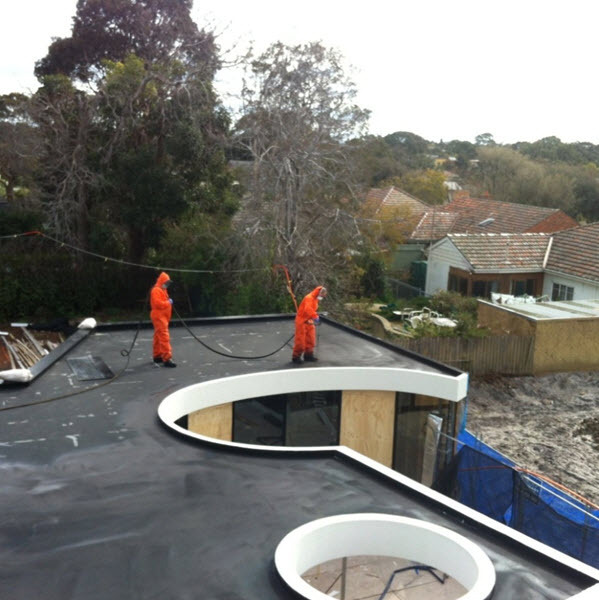 White Thermo Top Coat is applied over a base coat of Liquid Rubber-providing a heat reflective waterproof roof membrane. There is an enormous variety of waterproofing products on the market. 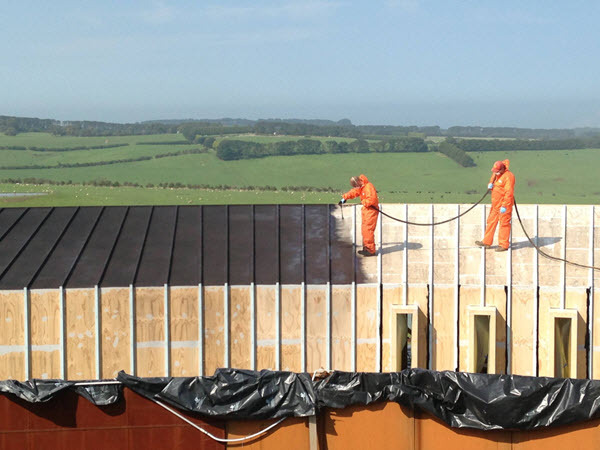 However our waterproof method of choice for roofing systems are Liquid Applied Membranes (LAM). 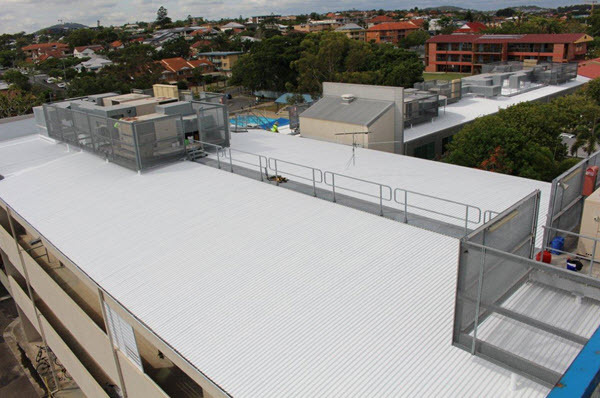 These membranes are seamless, elastomeric coatings which also have the advantage of being extremely robust and with full adherence to just about any roof surface – also with a 15 year warranty. 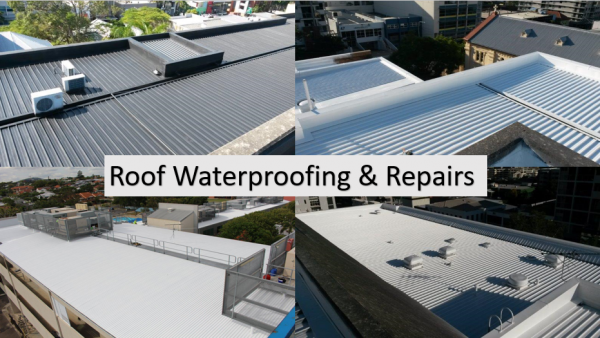 We have successfully repaired & installed roof waterproofing membranes throughout Melbourne CBD & metro area . 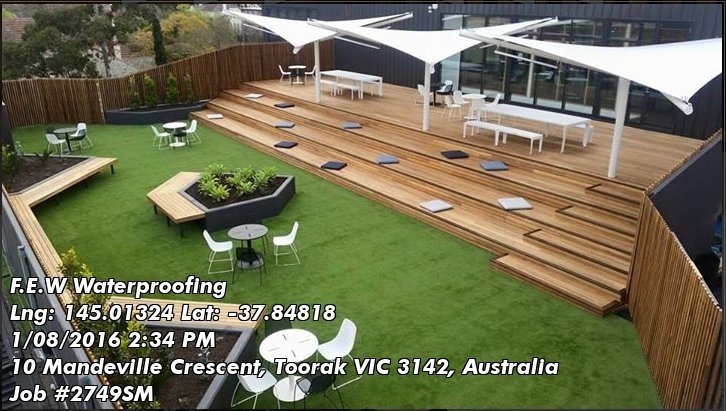 Providing long term solutions for all roof waterproofing : roof repairs, concrete, metal, timber, flat roof & commercial & industrial roof. 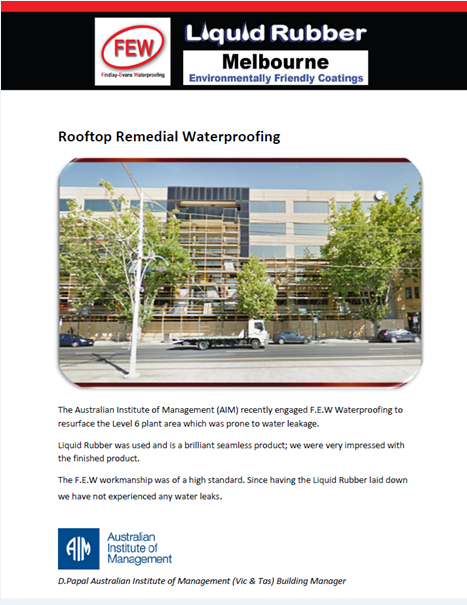 Download PDF Roof Waterproofing Projects Here.